The dictionary definition of a finial is an ornament at the end, top or corner of an object. With such a definition, buildings, curtain rails, flag poles, and other objects, can be said to have finials. 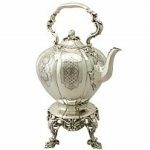 However, in the silverware world, when someone says finial we might associate that word with teapots, kettles, coffee pots, sugar bowls with cover, cup and covers, tureens, the list goes on… Simply put, the finial is a typical ornamental feature to many items of silverware. 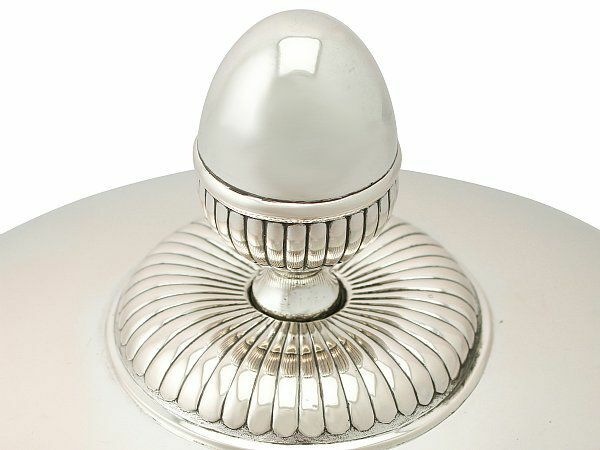 Not only is the finial an impressive decorative detail it can also be a crucial addition. 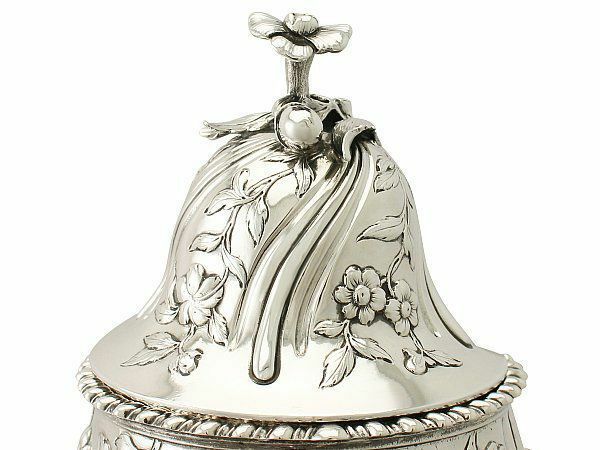 This is because often a finial is there to assist in the opening of a lid or the removal of a cover. 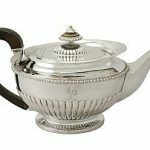 Without a finial the user of, for example a teapot, will find it very difficult to take the lid off sans burn. 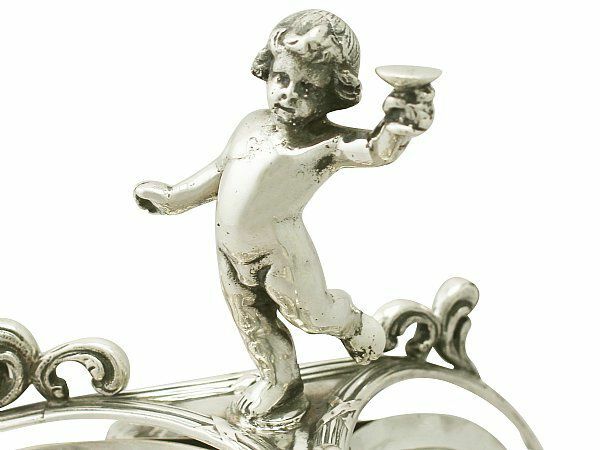 Decorative Finials may be crafted in ivory, wood or silver. 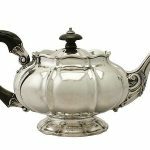 Often the finial material will match the material used for the handle; creating a complimentary design. The design of a finial can vary dramatically from one piece to the next. 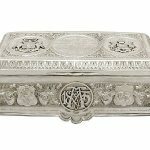 Designs include: eagle, floral, pineapple, acorn, oval fluted, paneled, ball shaped. Below are a few examples of the varying designs you can encounter. 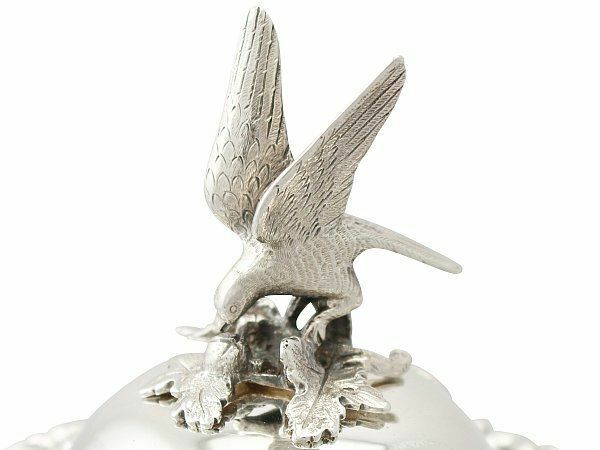 This particular finial is a favourite of one of our members of staff. 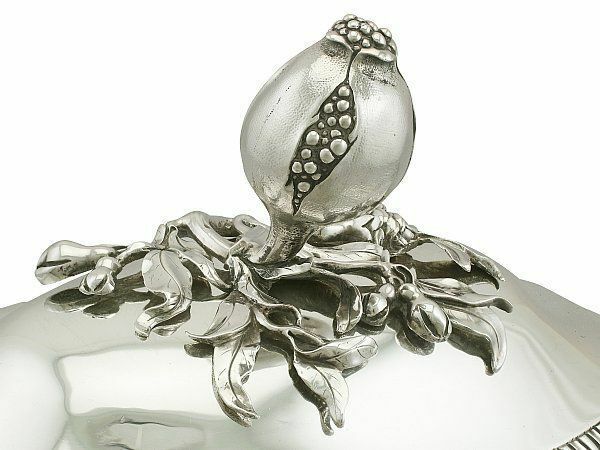 The original hallmarked cast finial has been realistically modelled in the form of a pomegranate with scrolling foliage. 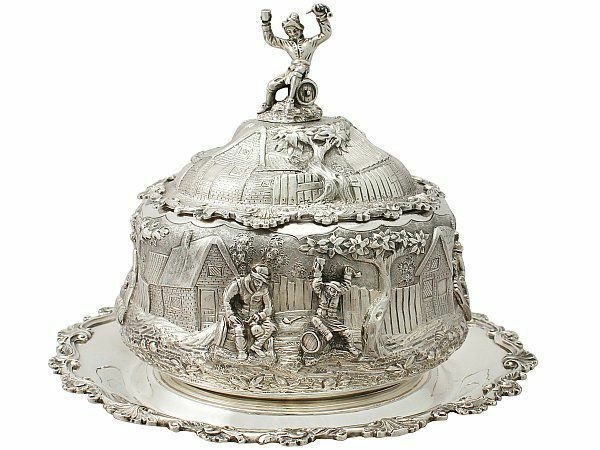 So, there we have it, the finial, a functional and (at times) a highly decorative addition to the top of many items of silverware. Which design is your favourite? 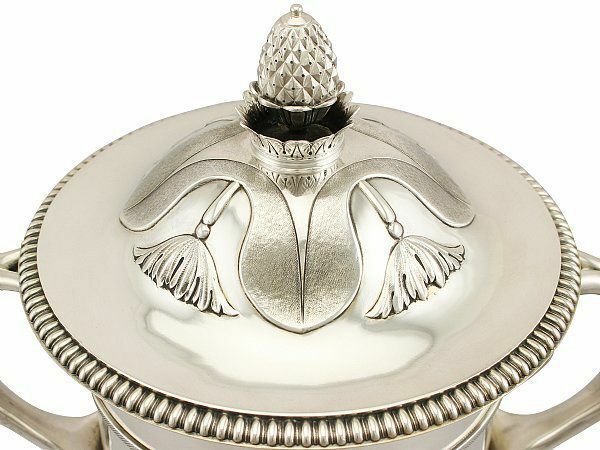 Or do you happen to have an interesting style of finial you would like to share? Comment below!